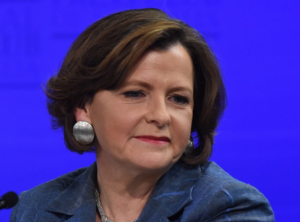 Ged Kearney, ACTU President, in Episode 1 of the HealthTimes Podcast, discusses her nursing career, nurse wages, healthcare spending, union dynamics, and her future political aspirations. Welcome to Episode 1 of the Health Times Podcast. I'm your host, Karen Keast. Today, we're speaking with ACTU President and former ANMF President, Ged Kearney. One of the most powerful women in Australia's Union Movement. Ged grew up in Melbourne and became a registered nurse in 1985 before going on to work in a range of roles across the public and private acute sectors. Karen: Ged, tell us about your nursing career. What led you into nursing and what did you love most about nursing? Ged: It’s a little embarrassing to say what led me into nursing actually because I followed a boy. So, I was seeing a young fellow while I was at the university and I wasn't doing very well in my course in the university, I wasn't enjoying it. Neither was he and he said, "Well I think I'm going to go and try nursing." And I said, "Really?” it never occurred to me. And funnily enough, I said, "Okay. So, I might give it a try too." And he lasted about five minutes and I stayed on because as soon as I started I knew that nursing was the career for me. I absolutely loved it. I did the training in the old-fashioned way, hospital training, just before university training was introduced. So yeah, I started a little bit later than others but I really loved it and I knew that that was where I think I wanted to make my life. Karen: Were there any particular aspects that you loved about nursing? Ged: So many. I love communicating. I think I very much enjoy connecting with people, learning about them and just really enjoy that one-on-one that you get with nursing. It's a very intimate career. I also enjoy being able to, as a result of having communicated so deeply, being able to help people through what is a really difficult and vulnerable time: being in hospital, being cut open (I worked in surgery), being sick and scared and lonely. I enjoyed helping people through that but I also enjoyed the technical side of things. I loved anatomy and physiology, I loved learning about how the different remedies and drugs and treatments worked. I really threw myself into all aspects, both the clinical side and the human side of nursing. And I think it's one of those careers that you really can combine both things. Karen: What was it about your time in nursing that shaped your views on wages and workplace conditions and prompted you to become more involved in the union movement? Ged: Well, I entered nursing at the very heady time of 1985, just before the large nursing strike in Victoria where there was a strike that was 50 days long, for a career structure amongst other things. That certainly introduced me head on into the union movement and the role of workers in improving their own – you know, in coming together as a collective and improving their own conditions. Mind you, going on strike is a very, very difficult thing to do and quite stressful for a nurse, but we achieved a great deal from that industrial action. And then later on there was a couple of instances at the hospital where I worked, a big public hospital in Melbourne, and I think I became involved with that because – basically a new rostering system was impeding on the way that we could deliver care and quality care to our patients. It was the first time I really stood up to fight against that, really for quality care and the union movement. The Nurses Union I think kind of noticed me and I was approached by the then Secretary, Belinda Morrison, and said would I be interested in getting a bit more involved with the union and I seemed like a good spokesperson, and so, yeah. So I did and I kind of went on a bit of a trajectory from there. Karen: You became the Federal Secretary of the ANMF. They're known us the ANF. After serving as the assistant federal secretary, federal president, and Victorian branch president, what are your thoughts now on the state of nurse wage and condition arrangements? Ged: I think the ANMF is a wonderful union and, you know, that's borne out of the fact that it is pretty much the largest union in the country right now. It has nearly 250,000 members. It's very strong. It's very well organized. It's very committed and very strategic. And I think as a result that got fantastic outcomes for nurses. In Victoria, I was very, very proud to be part of the nurse-patient ratio campaign, which saw staffing levels really tackled for the first time effectively on that industrial level and I'm very proud that I was there at the very beginning of that big dispute that we had for ratios. But also of course for pay and conditions and study leave, working very hard to professionalize the profession, supporting education going into universities, for qualification allowance. So, I'm really very proud of what the ANMF has achieved for nurses. And on an individual basis there's always going to be some people who'll say, "Oh, the union didn't help me here or the union didn't help me there." And I understand that it's very difficult to sort of deal with a hundred percent of everybody's issues all the time. But by and large, I think the vast majority of the time, the ANMF works very hard for its members and has very good outcomes. Karen: What are some of the key issues do you think that are facing these nurse wage and condition arrangements at the moment? Ged: Well, right now, unfortunately the hospital system is facing massive budget cuts. From back in 2014-'15, when Tony Abbott was the prime minister, he withdrew $57 billion from public hospital funding for the forward budgets. And I'm not sure that the impact of these cuts has really been affected yet, but from where we sit, this will mean that wages will suffer, there will be much less funding for the nurses and doctors and everybody else, of course, and I think that this will really bring a lot of challenges to the health system. The bulk of the people who work in the health system are nurses and you couple that with the fact that the government has slashed nearly a billion dollars out of primary healthcare funding, that is Medicare funding. People will, if they can't afford to go to a GP, will flock to the public hospital system to our EDs. I can just see a perfect storm coming because of these budget cuts and I think a large proportion of that will fall on the nursing workforce. The onus will fall on the nursing workforce, and it would be really sad to see nurses leave voluntarily as well as not being able to get jobs from the system because it's being underfunded. Karen: Australia's spending on health is skyrocketing. What's the best way for the nation to curb this rapid growth in health spending? Ged: There are increases in health funding but I think there's a lot of misinformation out there about just how bad it is. On the global scale, of course, Australia's health system is very efficient, far more efficient than say the United States if you look at it on a per capita level or a percentage of GDP. In fact, Australia sits very much amongst the average really when it comes to health funding. We do have an efficient health system and that works very well. I think the big challenge is not primary healthcare, where the government seems to be focusing a lot at the moment: Medicare and GPs, community health centres and community mental health centres, all indigenous healthcare. All of these fabulous primary healthcare systems have had their budgets cut really dramatically, which I think is short-sighted. Where we spend a lot of money, of course, is in our hospital system, our tertiary healthcare system and the best way, of course, to cut funding to tertiary healthcare system is to keep people out of hospital and to make sure that our primary healthcare system is properly funded and staffed and resourced and looked after. Of course, we're also seeing massive cuts to the aged care sector, $1.8 billion I think, being taken out of the aged care sector. And, of course, if people aren’t cared for properly in the aged care sector, they too will fall back into hospitals. So, I think the challenge, the focus is all on the wrong end. The challenge seems to be that we’re decimating the aged care sector, we are not investing in primary healthcare, we’re forcing people into the tertiary healthcare system, which is the most expensive. I think if we really need to look at streamlining our funding, our healthcare dollar, then we have to look at keeping people out of the hospitals which means properly resourcing and funding aged care and primary healthcare. Karen: The ACTU is the peak body for Australian Affiliated Unions, comprising 46 unions which represent about $1.8 million workers. How important is this collective? Ged: Well, depends who you talk to. We're often told by commentators that union movement is either irrelevant or we’re way too powerful and way too strong. And it's quite funny really that we can't be both of those things. But from my perspective, as president of the ACTU, I see the union movement - while it is a fact that we are the largest social and political movement in the country, there's no other organization that can say they have nearly two million paid of active, strong members, like we do. And you think about the things that we fight for, they're incredibly important. We fight to make sure that people are not exploited, that they're not harassed at work, that they have safe working conditions, that they get decent pay. We are the only organization in the country that fights to raise the minimum wage to make sure that people actually have a living wage in this country. We fight for Medicare. We fight for a decent education system. We've got a big campaign from our teachers at the moment around Gonski funding and also TAFE, a proper TAFE system. We fight for a decent taxation system, to say that we don’t think that there should be massive tax cuts given to billionaires and corporations when we can't fund our health system, for example. And we fight for decent retirement. Unions have been instrumental in making sure that our superannuation system is adequate so people have dignity in retirement. We are really a major force for social good in this country because we fight so desperately for those institutions. In fact, the union movement was instrumental in setting up all of those institutions. And so, I think without unions, we would have to really, really worry what would happen to this country. You look at countries where unions are weak, like the United States, for example, where the minimum wage is down around to $4-5, in some instances it's $2 an hour, where people rely on tips. There's 16 million people without access to healthcare, people are exploited dreadfully in the workplace, and the gap between the wealthy and the poorer people is just growing exponentially. We don’t want Australia to go in that path and I think unions are an incredibly important part of social infrastructure that keeps our society more equal. Karen: Do more militant unions, like the CFMEU, taint the broader union movement and undermine those unions that have more widespread support in the community, such as the ANMF. Ged: You know, it's interesting that we use the word "militant". They're strong and they're a very strong union and they have had to be strong because if you go back to the history of the construction industry and where the unions grew, it has always been and it always will be a very, very difficult industry to work in. It's dangerous, more people die on construction sites pretty much than any other workplace. There are enormous numbers of injuries. The very nature of the industry means that there is bad behavior where some employers, you know, they go broke and then they do not pay any entitlements to their employees and then we see them pop up in what we call phoenix companies, you know, a brand new company where they just start again and relinquish all their responsibilities to their workers. We’ve seen some really terrible, terrible practices unfortunately by employers in this industry. They don’t pay super, they employ migrant workers on really dodgy conditions. It's a really tough industry and it requires a very strong union to deal with those things. And I'm very proud of the CFMEU for what it does for safety and for protecting its workers' rights. And I think they've been demonized, demonized terribly because of their strength. And you know, we had a royal commission really that was nothing but a political witch hunt to try to demonize that union more than it possibly could be by conservative governments and conservative forces who don’t like the fact that they are strong. And you know, $80 million was spent. Sure, unfortunately they found some bad behavior and that has no place in the union movement, but if you spend $80 million in the finance sector or even in the liberal party, you will find people who had done wrong things and bad things. And we don’t condone any bad behavior. No, we don’t. But that's why we think that if you're going to look at fraudulent behavior, then you need the national ICAC right across all industries that looks at all bad behavior and don’t just pick on one union because they are powerful. Karen: We had one of the longest elections in Australian history. And now the coalition has declared victory after a close result, what does the election result and the new parliamentary landscape mean for the health industry and particularly nurses and midwives? Ged: Well that's a very good question. The election was very close and it was a very narrow win for the government. Despite that they did get a majority in the end, as everyone knows, we had to wait a long time for that outcome because the counting was so close. So I think they‘ve been given a very strong message from the electorates, that their policies are not broadly supported. As you know, we ran a very strong campaign to save Medicare, which unfortunately by the conservative press and a number of others has been called a media scare campaign, saying that none of what we said was true when actually every single thing we said about the threat to Medicare was one hundred percent true. There had been massive cuts to our public hospitals and massive cuts to Medicare, massive cuts to primary healthcare, if you look at mental health and regional health etcetera, as I've said before, massive potential cuts to pharmaceutical benefits in aged care. Our health system is under attack by this government. So, I think the nurse's union, the ANMF, ran a wonderful campaign, a really fantastic campaign about their concerns for the health system should this government be re-elected. And a lot of people took notice of this and I'm pretty sure it's swayed a lot of people's votes. So, from a nurse's unions perspective, I think they have grave concerns now, and not only for their members and for jobs and for paying conditions in the health sector, but for the quality of healthcare. So, with the outcome as it is, the government has won and they are there, again. From my own perspective, we will work very closely with the nurses and all other health unions and all of our members who care about Medicare to hold this government to account and stop further cuts. We're going to continue to campaign because at the end of the day, we want a strong high quality healthcare system that is built on a wonderful funding mechanism called Medicare. That means everybody, no matter what you earn, where you live, or how sick you are, you can get decent healthcare, and we don’t want to see that undermined. Karen: In 2013, you indicated that you are considering nominating for ALP pre-selection for the seat of Batman in the House of Representatives but later decided against it, is a career in politics one of your ambitions? Ged: Well, that's a very interesting question. I am the president of the ACTU and I've been here now six years. It's been the most wonderful job. I love every minute of it and I'm very privileged and I intend to stay on for a few more years. Definitely, I think I've got a few more in me. Where will I go beyond this? Well, there's a number of options. And you know, politics is certainly one of those options. Not sure there are many people in the private sector who would be reaching out to employ the president of the trade union movement, for example. Your job options perhaps become a little limited from a position like mine, but you know, I haven't really thought too carefully about what I would do after this job was done. I intend to say here for a few more years yet, but you know, I don’t rule anything out. Karen: And if you were to move into politics, what would you like to achieve? Ged: Oh…Yeah…Well, what a good question! What would I like to achieve? Well anybody going into politics, I guess, would want to represent their constituents the best way they could. They would have to understand their electorate and know what their needs are and work really hard to make sure that their electorate got the best deal they possibly could from any governing party. More broadly than that, my passion is workers' rights. My passion is to build a strong effective trade union movement, and my passion is healthcare. They are the things that have driven my career. And so, I guess I were lucky enough ever to go into politics, I would be looking at trying to influence policies around those things. Karen: Ged Kearney, thanks for your time. And thanks for listening to the first episode of the HealthTimes Podcast. We'll be back with more podcasts. You can subscribe to the HealthTimes Podcast on iTunes. And don't forget to check out the range of jobs, articles, and other resources on the Health Times website by visiting www.healthtimes.com.au. Karen Keast is a freelance health journalist who writes news and feature articles for HealthTimes. 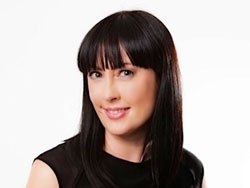 Karen regularly writes for some of Australia’s leading health news websites and magazines. In a media career spanning 20 years, Karen has worked as a senior journalist in newspapers and television. She has covered the grind of daily news and worked as a politics reporter at countless state and federal elections. Since venturing into freelance writing five years ago, Karen has found her niche in writing about the health sector for editors, businesses and corporations. Karen has interviewed the heads of peak health organisations in Australia and overseas, and written hundreds of news and feature articles covering the dedicated work of health professionals who tread the corridors of hospitals and health services, universities, aged care facilities and practices, day in and day out.